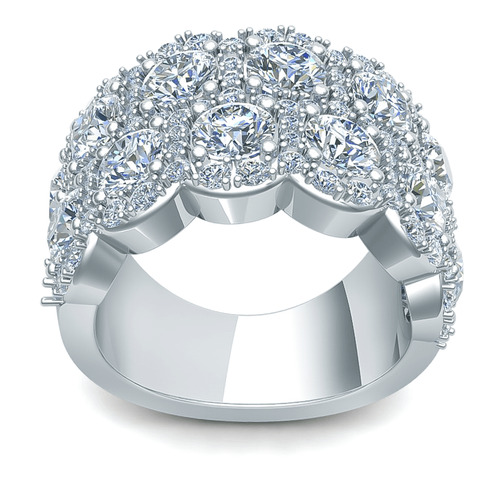 The Cora Pave Set Cubic Zirconia Halo Double Row Wide Anniversary Band is a stunning band with its pave encrusted design. 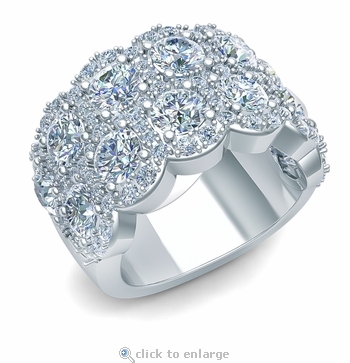 Two rows of rounds are each completed by a halo of pave set rounds and line halfway down both sides of the shank. 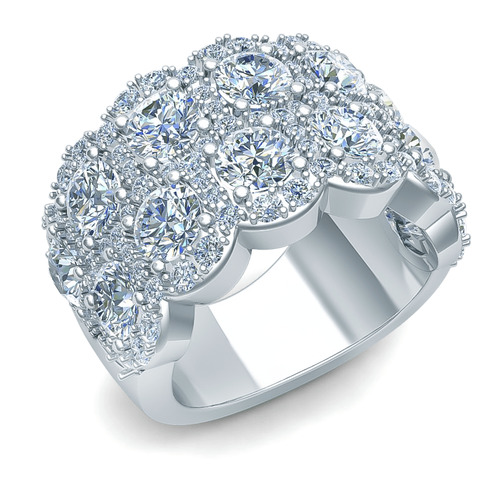 The ring measures approximately 11mm at the top and tapers down to the back of the ring. 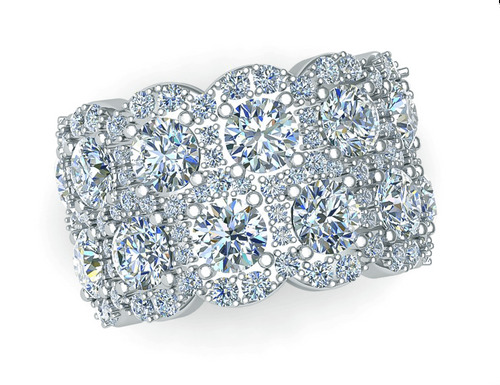 This anniversary band is a beautiful addition to your fine jewelry collection and can be worn from day to night. 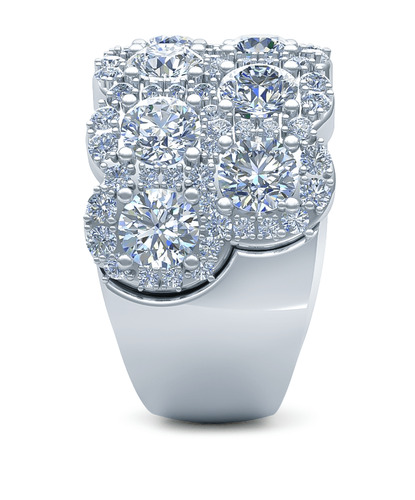 Our Russian formula cubic zirconia is hand cut and hand polished to exact diamond specifications and set in a high quality mounting made in solid 14k white gold, 14k yellow gold, 14k rose gold, 18k white gold, 18k yellow gold, or luxurious platinum. Finger sizes 5 through 8 are listed in the pull down menu and larger and smaller sizes are available. For further assistance, please visit us via live chat or call us directly at 1-866-942-6663, option 2 to speak with a knowledgeable representative.